What Exactly is Beard Balm Used For In The First Place? Is it Better To Just Make Beard Balm Yourself or Buy It? 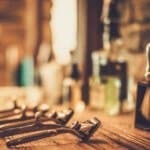 Are A Brush or Comb Necessary For Applying Beard Balm? Looking to get the best beard balm for your money? From the boutique beard balm brands to the mass produced ones that you can find absolutely anywhere – we got you covered to find the perfect beard balm. 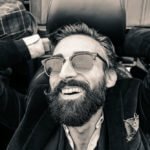 If you aren’t aware, the beard care market has been flooded in the past few years, so how do you cut through all of the clutter and find the best beard balm for you (or a special someone else)? Simple – you go to the bearded experts! 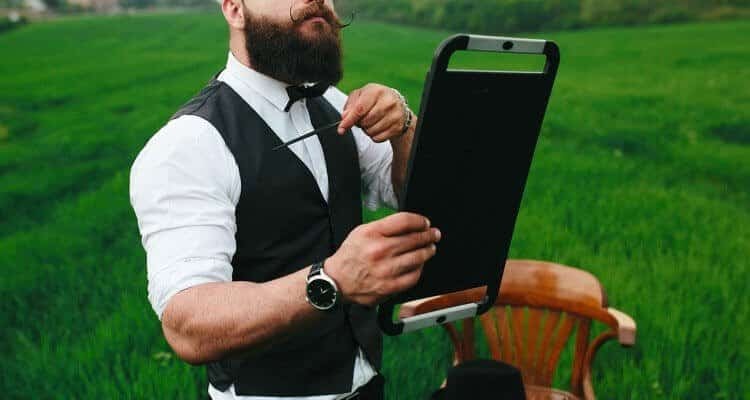 Beard balm if you are unaware is a substance (much like a pomade) that is used within your beard to solve 3 main issues: make your beard softer, make it healthier, cure beardruff, and give just a bit of styling properties. Whether its the frigid winter months or the hot dry heat in the middle of summer – beard balm should be used in all occasions. When you start growing a beard, even if its not terribly long, you may notice that it begins to get a bit itchy and flaky. There are a few things that are going on here that causes this. First off, its important to know one thing – and thats sebum oil. Sebum oil is the oil that is naturally produced by your skin. It gives your skin a healthy glow and the hair on your head and face the nutrients it needs to look both healthy and feel soft. When you begin to grow a beard, the sebum oil production on your face simply cannot keep up with the demand that your beard has. When this occurs, your skin begins to dry up and causing your beard to feel quite itchy and dry. After your beard is feeling so itchy, it begins to shed off a bit of dandruff for your beard (gross I know). This is known in the beard community simply as ‘beardruff’. At this point, men throw in the towel, whip out their beard trimmer or trusty razor and hack all of their beard away! But this is where beard balm steps into the equation. 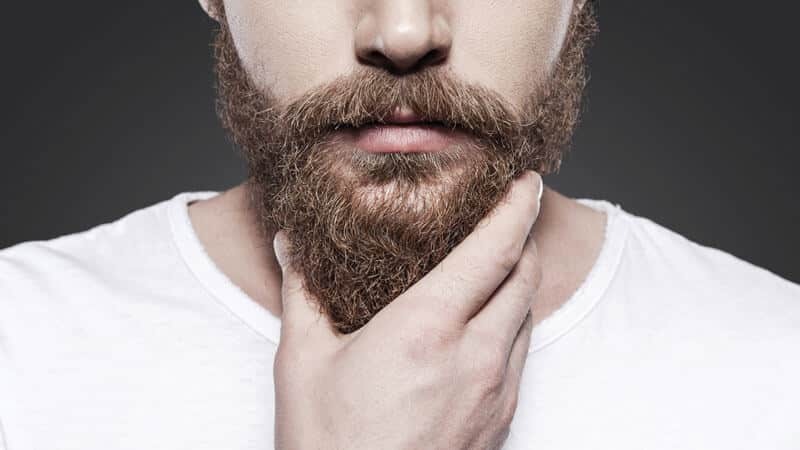 Think of beard balm as a supplement to the natural sebum oils that your skin is already producing. Being that your sebum oil can’t keep up with demand anymore, a solid beard balm can completely rid your beard of all of these aliments and make it completely soft, healthy looking, and beardruff free! Last but not lease you would want a beard balm that has ample amount of beeswax so your beard stays in order and maintains its shape through the day. In order understand how beard balm works, you first need to look at the ingredients involved in it. Any decent beard balm (like those reviewed below), carry 4 core ingredients in the tin. How do all the ingredients that would make up the best beard balm work together? By and far one the most important ingredients to all the great benefits in any beard balm is going to be the carrier oil. Carrier oils provide just enough hydration and nutrients for your skin that will help cure itchiness. A carrier oil if you might be wondering comes in several different varieties. From jojoba to sweet almond to argan, there are quite a few that exist. Nearly all carrier oils that I have come across that are used in beard balms are all natural and are derived from plants, nuts, etc. If its your first ever time using a beard balm, I highly recommend that you stick to a balm that has jojoba as one of its primary carrier oils. Jojoba is by and far the closest oil from nature that matches the natural sebum oil that our skin produces. Therefore when using it for the first time nearly all people don’t have any sort of adverse effects from it. In fact even if you have acne or generally oily skin, using product that contains jojoba oil usually won’t cause any flare ups as it tends to balance out the sebum oil production. Of course with any introduction to using any sort of skin type of product, make sure you perform an allergy test just to make sure there are no adverse reactions. If jojoba isn’t your thing, another great carrier oil to find in a beard balm is argan oil. Again, this oil is pretty mild and should be fine to use. 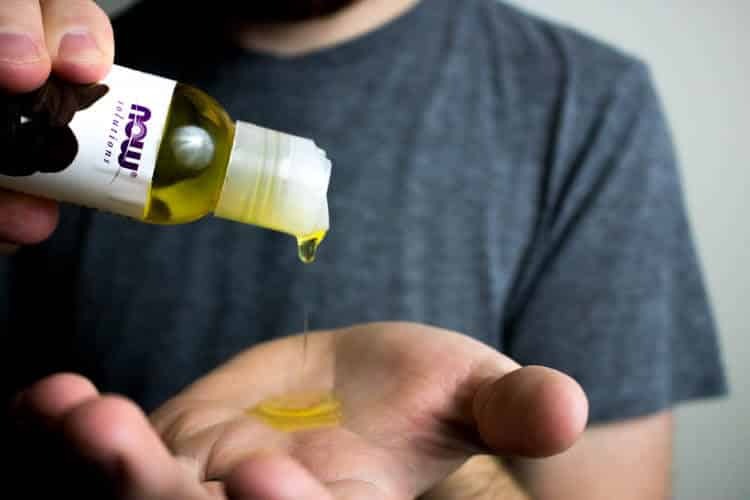 Understanding the benefits of essential oils can be pretty confusing. There are literally hundreds of essential oils in the world, any great beard balm may contain a few of them combined together. If its your first time picking up a beard balm, you are probably better off choosing essential oils first off by scents. This makes the process a bit less daunting. Most beard balms will contain ‘manly’ scents in them. 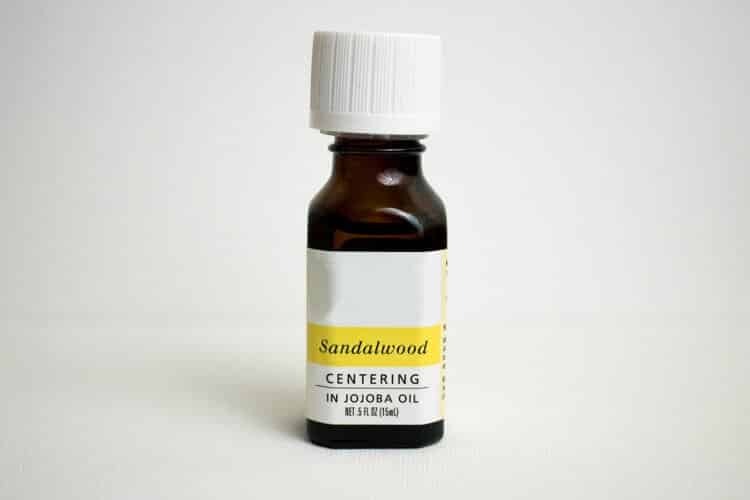 Some of the more popular scents out on the market are pine, cedar, sandalwood, etc. When you use any beard balm that contains essential oils, the scent will stick in your beard for a few hours and dissipate as the day wears on. 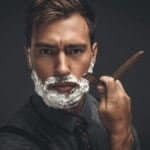 If you want to get into the details of a beard balm and are looking for some of the secondary benefits, I definitely would recommend checking out AromaWeb where they have a tremendous database of the more popular essential oils. For instance, if you have acne, a beard balm with tea tree oil might be the best thing for you. You see tea tree oil is naturally a antiseptic that will help fight off the bacteria that causes acne to help clear up the skin beneath your beard. There are also essential oils that help with your blood flow on your face that tend to make your beard come in a bit quicker and fuller. Have sensitive skin and unsure of which one essential oil to get? Often times its best to go with a beard balm that only has a few ingredients and not overloaded with essential oils. However, if you plan on picking up a beard balm with essential oils but you have sensitive skin – then make sure you avoid oils that are citrus in nature as these tend to cause flareups more frequently for those with sensitive skin. Being that beard balm is met to give your beard a healthy and softer work, the butters in your beard balm help compliment the carrier and essential oils. The butters in beard balm are unlike the typical butter out of the fridge. 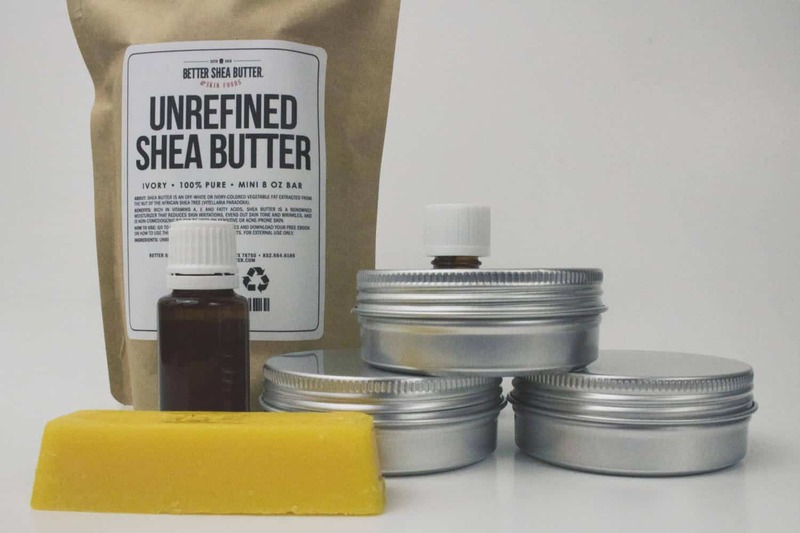 Instead, butters in beard balm typically are either shea or cocoa butter. Of which both have warm scents that tend to smell really great! Since beard balm is more of a pomade, this helps with the overall spreadability of the balm when applying it into your beard. This is a stark difference to beard wax which is typically absent of any sort of shea or cocoa butter. If you are looking for a bit of beard style, beeswax is the primary ingredient responsible for this. With its ability to hold the beard just slightly, it makes your beard stay in the same shape as when you walk out the door in the morning. But don’t mistake this for something similar to a gel hold that you would apply to your hair. You see the beeswax in beard balm is just enough to give you a hold without your beard feeling crunchy at all. But the benefit of beeswax doesn’t end there. In fact, the other important benefit of beeswax in some of the best beard balms on the market is that it acts as a protectant to your skin. Therefore it will help lock in all the moisture that is given by the way of carrier and essential oils along with the butter used. When applying beard balm, don’t worry about it drying up on your face and leaving a waxy residue like you have when touching regular off the shelf wax – there is a low amount of wax in the final product that would make this occur. When seeing that beard balm just contains really only 4 ingredients, you have to start wondering to yourself if its actually worth it to just make it yourself. I mean when you break it down, how hard can it be to mix the 4 ingredients together? 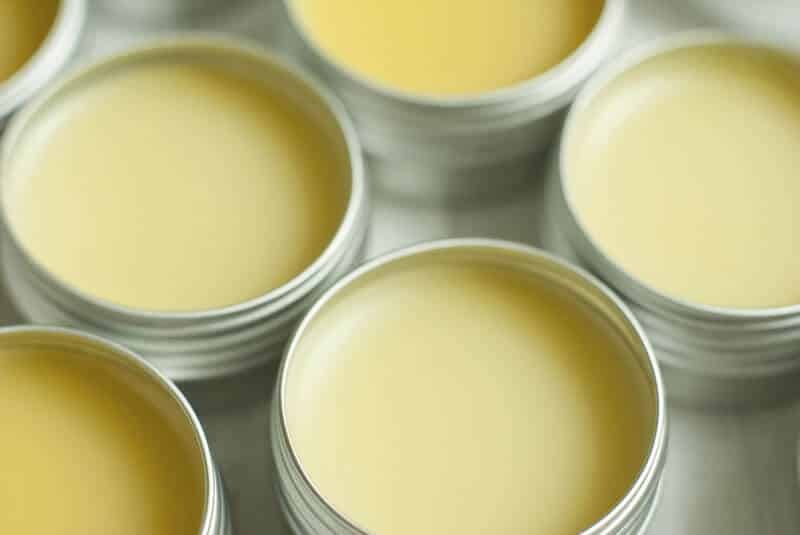 You can make your very own beard balm, it’s not at all impossible to do! But with just about any DIY project, its always going to be cheaper to make it yourself instead of buying it off the shelf. After all, you get a beard balm off the shelf for convenience right? Making your own beard balm only works if you of course use more than one tin of it. 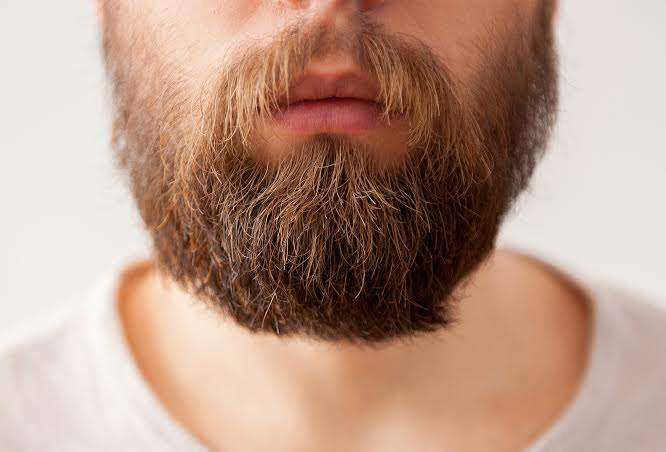 If your beard is going to last more than a month, the DIY route will seem to make much more sense as it will save you a bit of money. However if it is a one of time of trying to make it yourself, you will be spending more on all of the ingredients separately and won’t realize any immediate cost savings. Putting all the costs aside, there is one absolute advantage that you have when you make it yourself. You have all the flexibility in the world to experiment with different carrier essential oils. If you wanted to get a wooden orange scent (because why not! ), you can make it to your hearts desire. 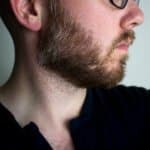 Applying beard balm is a fairly straightforward process – but even if this is your second or third time buying it, its always great to brush up on technique to make sure you are doing it right. Simply place the tin of beard balm into your hand. Then get your thumb and scrape it out till you have about a thumbnail size amount scooped out (this should work if your beard is less than a couple of inches). Once scooped out go ahead and put your beard balm tin away and then place the scooped out beard balm into the palm of your hand. Then you will want to rub your hands together completely melting out the beard balm. You don’t want to have any sort of left over chunks of balm remaining in order for it to prevent clumping in your beard. Once your hands are completely covered in your beard balm and its fully melted, rub your hands into your beard. First off, you want to make sure that you rub from the root of your beard follicle down to the tip of your beard. This makes sure that your skin will receive the vital nutrients from all of the ingredients within the balm. Once you feel that you have adequate and equal coverage in your beard, you are going to want to either brush or comb your beard. I get this question from guys a lot. Is a beard brush or comb actually worth it? You see beard brushes and combs are made differently than other types of combs and brushes on the market. Whether you are applying a beard balm or beard oil, you should definitely use a brush and/or comb. A top rated beard brush contains boars hair. This type of brush can trap excess beard balm within the bristles and help spread the beard balm evenly within your beard. Even though beeswax is contained within beard balm, when using a boar hair bristle brush, it will give your beard a fuller and more natural look. On the other side of the equation is a beard comb. 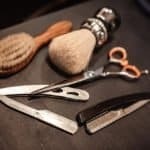 Beard combs primary use is for styling your beard and giving it a great shape. With the bit of beeswax that is contained in a beard balm, a beard comb will give you the ability to make sure that you can get your mustache tamed to the sides and give your beard a great shape with all the hair follicles falling into line. It is definitely important to note that beard combs do differ greatly from your typical drug store comb. Beard combs, especially those made from Kent, are saw cut and hand polished. This leaves no micro-jagged edges along the teeth of the comb. This is important in that it doesn’t cause prolonged damage to your beard. Also being polished and hand cut, you won’t experience any sort of static when combing your beard. 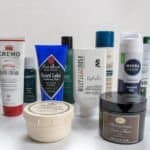 With so many beard balms just a few clicks away, it’s hard to sift through all the clutter in order to find a few balms that deliver results. While we wish we had unlimited resources to review every single beard balm on the market, the reality is that we don’t. However, after careful research and consideration, we think we found the best beard balms of 2019. The balms listed should help to not only condition your beard, but to also provide a bit of styling hold as well. We feel confident in our list, and we think you will love any one of them as well. If you think that the name of this brand is tough and manly, that’s because it is. Badass beard care has been servicing men with wild beards for years, and they are incredibly good at it. When looking at the BBB (Badass Beard Balm) there are so many options to choose from in regards to scent and texture, that it can almost be overwhelming! But, here we are looking at the original scented beard balm because, let’s be honest, original is where it’s at. Not overpowering in scent and with a buttery smoothness that will have your whiskers drinking it up, this beard oil is one that men just can’t get enough of. The ingredients are top notch and offer lots of wonderful essential oils that will be beneficial to the skin. This contains tea tree oil, therefore allowing it to have natural anti-fungal properties to fight the prevalence of acne. Over all BBB is one of the best you can find, with a hold that will be able to stand up to any daily activity you need to conquer. What’s in Badass Beard Care Beard Balm for Men the Original? Earlier in the review it was stated that the scent for this balm is not over powering, which is true. But, you also don’t have to worry about the scent fading away throughout the day either. Vanilla and sandalwood create the natural tone of this balm. While it is light, the scent will stay around throughout the day. If you aren’t totally sure if you would like a lingering scent, don’t worry, while the vanilla hangs around it’s not overpowering. While this beard balm has a light to medium hold, it will do a wonderful job of keeping your beard hairs stylish throughout your daily activities. However, if you plan on doing some high intensity activities, you’ll want to reach for something with a much stronger hold like Beard Balm from Detroit to keep the wild strays in place. From the general scent to the overall hold that Beard Balm from Detroit provides it has your beard needs covered. Giving off a barky/woodsy smell, it will without a doubt make you smell like a rugged man. But don’t worry, the scent isn’t so over powering that you will want to wash it out of your beard immediately after application. In fact, it gradually dissipates as the day progresses giving nice undertones that you and others may enjoy occasionally (this isn’t at all a bad thing!). Made within the USA (Detroit, MI), this beard balm is absolutely top notch from all of the other beard balms tested. 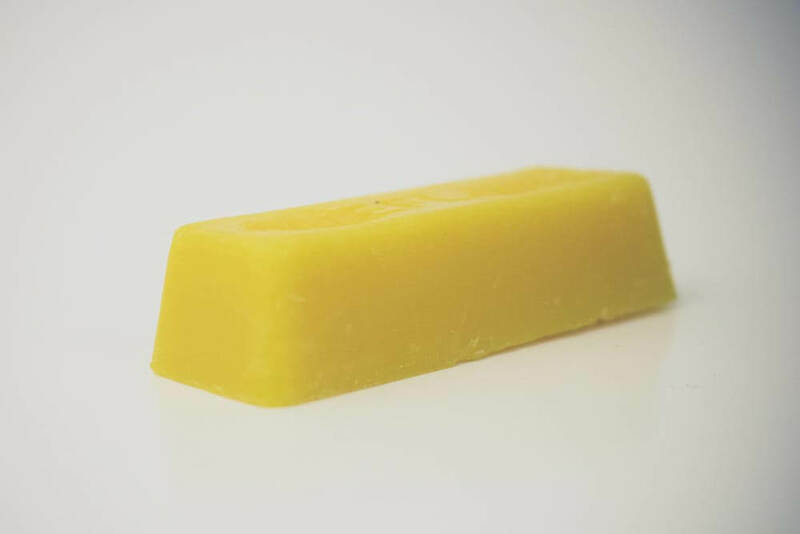 Giving a great hold throughout the day by providing what seems to be just the right amount of beeswax – your beard will look professional and well kempt. 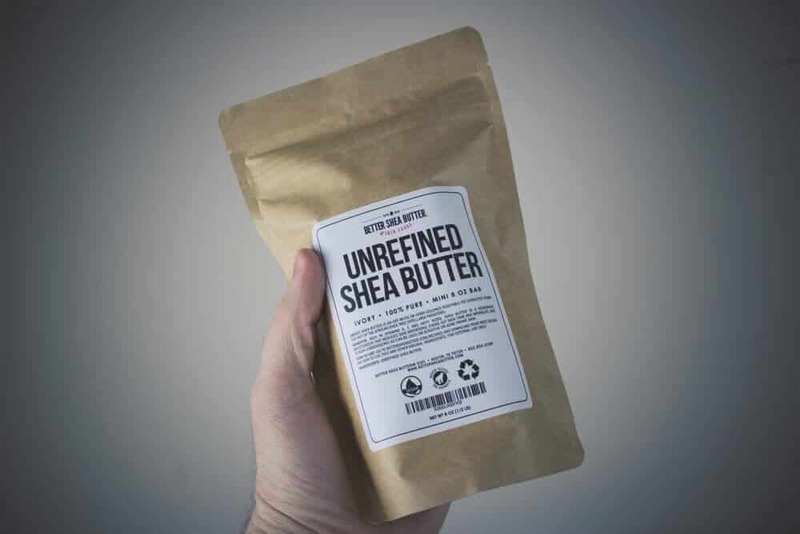 All ingredients are plant based with the exception of lanolin (which is derived from sheep wool – therefore no animals were harmed in the making of this beard balm unlike another one that was reviewed), this product is nearly all natural. It’s pretty tough to place your nose on the exact scent of this beard balm. With the top notes of lemon, eucalyptus, and geranium – when combined give you a barky yet woodsy scent. While aroma isn’t weighed too heavily in all of the beard balms reviewed, this was by and far the best beard balm for a balanced smell. From first application to mid-afternoon, you won’t have to reach for your pocket beard comb once. This beard balm has the right balances of the 4 core ingredients – butter, wax, carrier, and essential oils. Giving your beard and mustache the nutrients it needs while also keeping everything in order just as you intend. You can’t really ask much more for performance out of a beard balm like this one. This beard balm is perfect for those fellas with long flowing beards that want to tame their mane. While the texture may be a bit greasier than some of its buttery balmy counterparts, Cremo’s beard balm has no problem styling and moisturizing even the wildest of beards. The only set back with this styling beard balm is the smell. Some have reported that while the aroma of peppermint is strong at first it fades away and isn’t too bad, but others say that this balm resembles the strength of Vicks vapor rub. Other than that, Cremo’s product is easy to use, fast absorbent, and leaves your beard feeling fresh and moisturized. As stated earlier, this particular beard balm has a very strong peppermint smell. Perhaps even as strong as Vicks Vapor Rub. But don’t let that discourage you! If you don’t mind peppermint, the aroma is strong at first and then eventually fades to just a subtle peppermint waft. Designed for longer and fuller beards, you would think that this balm would have a killer hold. But, that isn’t really the case. Even though Cremo’s is great for styling and moisturizing a beard, you will want to reapply it later on the day if you are very active. Don’t let the struggles of a dry beard drive you to shave off all of your hard work. Save it instead with this bead balm by Grave Before Shave. With deep conditioning and a subtle scent of bourbon that lasts throughout the day, this product helps you to achieve it all; whether you are wanting a tamed beard or one with wild style! One of the downsides of the Gentleman’s Beard Balm is that the hold is relatively light. While the texture does a great job of keeping the hair soft and styled a little, it will not hold well all day long. On top of all this, the ingredients list does not name every essential oil this product uses; so those with sensitive skin may want to avoid using this balm. Besides all that, Grave Before Shave balm is extremely easy to apply, due to the buttery texture, and leaves no residue behind. If you are looking for a great beginner’s balm, this one may be just what you are looking for. What’s in Grave Before Shave Gentleman’s Blend Beard Balm? According to other beardsmen, the aroma is one of the best aspects of the balm. With a slightly sweet, bourbon smell the Gentleman’s Blend is strong at first, and then fades to a subtle smell that lasts all day long. If the aroma of bourbon isn’t really your style don’t worry, there’s just a hint in the background so it’s not overwhelming in any way. The hold is this product’s biggest let down. If you are looking for a balm that will keep your beard styled all day long, this one is not for you. Honest Amish beard balm is one of the most popular beard balms within the beard maintenance world and likely one that you may have already heard of before. With its low entry price, it makes it easy for most guys to pick up and use for their first ever beard balm. When compared to other high quality beard balms reviewed, Honest Amish does rate well, but overall not the best. The biggest reason for this has to do with a few points that are further outlined below. 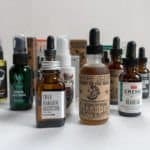 If you are a budget beardsmen looking to save a few bucks on your morning routine, then give this one a shot, however, you will likely find that some of the better balms reviewed here will likely yield you better results for your beard. To my dismay Honest Amish is mum about some of the ingredients used within their beard balm. 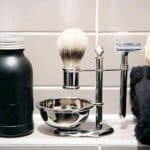 While its understandable that some companies want to hold on to their secret mixture (especially products in the beard care market with such low barriers to entry), when applying anything to your skin or face on a repeated bases, you should know every ingredient that you come in contact with. While I don’t think there are any citrus essential oils involved in this beard balm, those with sensitive skin may want to steer clear of this beard balm as there is no definitive answer as to what essential oils are actually contained within this product. The aroma for Honest Amish beard balm is hit and miss. Some guys will love it and some will hate it. Being that there is no disclosure on what essential oils are used within the product, its hard to nail down what the exact scent is. It appears that it may be a licorice/anise midtone scent, but others may find that there is just a mixture of a bit of wood inspired scents along with cocoa butter. After application you will find that it does dissipate after about an hour of use, so whether you like it or not, the scent won’t be noticeable in due time. One item noticeably absent from the ingredient list is beeswax. Overall you won’t be able to get much styling out of the product itself. The best way to fix this is to either invest in their extra hold beard balm or purchase a tin of beard wax separately. Overall this is a great beginners beard balm! Having a great base of carrier oils, it does a good job at completely getting rid of a dry beard after just a few short applications. The biggest gripe that you will have about this product is the unknown of ‘essential oils’ on the labeling. This is always disheartening and should concern you when its not disclosed. Some guys are allergic to certain ingredients, and when all ingredients aren’t disclosed, its hard to find out what may be the cause of an allergic reaction should you ever have one. With that bing said though, the scent of this beard balm is extremely subtle. Therefore it does make a great beginners balm for any beardsman. If you have a longer beard, there simply doesn’t seem to be enough wax within this product that would give you a substantial hold throughout the day. However if you are looking for a beard balm with a bit better of a hold, check out the Wild Willie’s or Detroit beard balm. They will give you a better performance that this particular beard balm. As mentioned in the review above, this beard balm gives off an incredibly subtle scent that will dissipate after about an hour of use. The primary note that you will smell from this beard balm will be eucalyptus. The best way to describe a eucalyptus scent is something along the lines of being just a bit woodsy mixed in with pine and a high note of mint and just a very low note of honey. Overall the hold of this beard balm is its weakest point. If your beard is longer, then you will want to pick up a tin of wax to compliment this balm. However even though the beeswax appears to be lacking much substance within this beard balm, the carrier oils along with the butter will help your beard to remain soft throughout the day and you shouldn’t have to worry about hairs going too stray. After using this product for a few days, there is no doubt about it, Wild Willie’s Beard Butter Balm will leave your beard in great shape. Not only does it give your beard great form, but it will cure any sort of itching instantaneously. With so many oils listed as ingredients in this beard balm, your beard will feel extremely soft and look healthy within about a week after using it. Regarding the scent of this beard balm, being that it has tea tree, rosemary, cedarwood essential oils, it does give off kind of a lavender/woodsy scent. If you prefer an unscented beard balm, then this isn’t for you. About an hour after application the scent will likely dissipate. While I don’t rate the scent that high on the the final grade – I found myself having to restrain from wanting to use more throughout the day (only for the scent). The actual performance of the product was indeed pretty top notch. I was able to get a much softer beard than I was with some of the other beard balms reviewed. If there is absolutely any downside to this beard balm it is going to be the use of emu oil within the product. If you aren’t sure what emu oil is, its oil that is extracted from the fat of an emu. If you are a vegan at all, then this product is not for you. If emu oil doesn’t bother you on the other hand, then this product is definitely worth checking out. You will definitely be happy that you did. As touched on in the review earlier, overall the aroma may be off-putting to some at first since its got a stronger woodsy/flowery scent, it does in fact seem to dissipate within the first hour of application. If scents aren’t your thing you can either opt for a much more subtle beard balm or simply tough it out for the first hour. After giving your beard a good brush and comb to start the day, you will find that there is adequate beeswax within this beard balm to give your beard great shape throughout the day. However, if you have evening plans, you may want to reach for this balm again as a slight touchup in order to make sure that everything stays orderly. With an affordable price and a refreshing smell of grapefruit, Woody’s Beard Balm is sure to be a crowd pleaser. You won’t need to worry about waxy residue or greasiness because this product is smooth as butter. To use this product, a little bit will go a long way! But, the more you apply will result in a stronger hold. The only issue I find with this product is that when it comes to the ingredients, Woody’s only lists a few “key ingredients” such as beeswax and coconut oil. There isn’t a very clear picture on what is contained in this beard balm, so those with sensitive skin may want to steer clear. On Amazon, the ingredient Panethol is also included, but other than that the list is very short. A subtle hint of grapefruit makes up the smell for this product. While there may be some men that don’t like the aroma of a grapefruit, never fear! Woody’s Beard Balm does not have an over powering scent, which will make the user’s experience enjoyable.